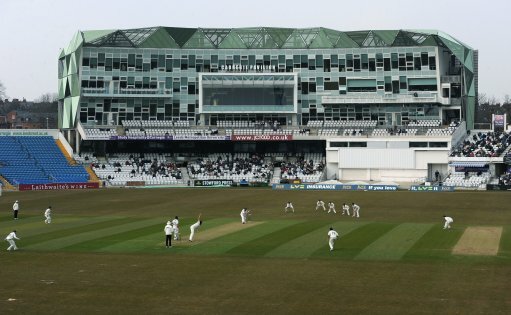 Yorkshire experienced a rollercoaster ride in the first decade of the new century. Twelve months after the county tasted its first championship success for thirty-three years, the first eleven were relegated from Division One whilst also winning their first one-day final at Lords since 1987. Promotion was quickly achieved, but it was especially difficult for the Tykes to achieve any consistency when such star players as Matthew Hoggard were frequently playing for England instead. Here was another 'crucial conundrum' for the white rose: whenever Yorkshire players excelled, they were summoned to play for England. Robbed of the contributions of their best players, the team was required to soldier on in their absence. One man who was a colossus for the county in this decade was the prolific Australian runs machine, Darren Lehmann. He shared in a fourth wicket stand of 358 with Michael Lumb in 2006 at Leeds against Durham which was a county record. Another milestone was a county record of 346 for the third wicket at Edgbaston between Anthony McGrath and Joe Sayers in 2009 against Warwickshire. Not to be outdone, Tim Bresnan and Jason Gillespie set a new county record of 246 for the ninth wicket at the Oval against Surrey in 2007. Australian Matthew Elliott hit 128 off 125 balls as he and Anthony McGrath shared an unbroken stand of 103 runs.